Usually I am not in the mood for pink, but then every once in awhile my girly side forces it's way to the surface and I have to peruse pink things on Pinterest. 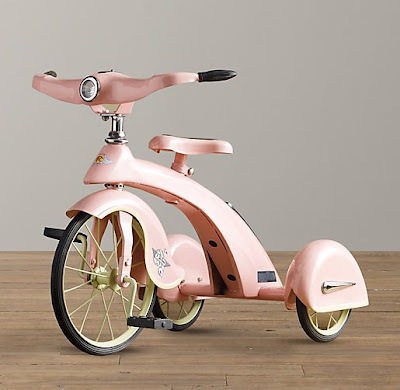 This pink tricycle is the coolest. I wish I were 3 years old just so I could ride it. 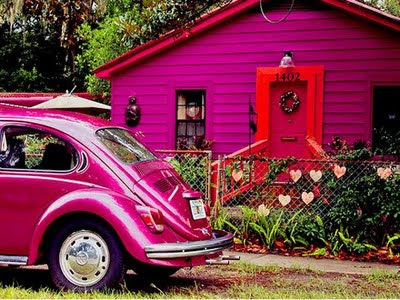 I think that anyone who chooses to paint their house (and car) this color would be interesting to know. 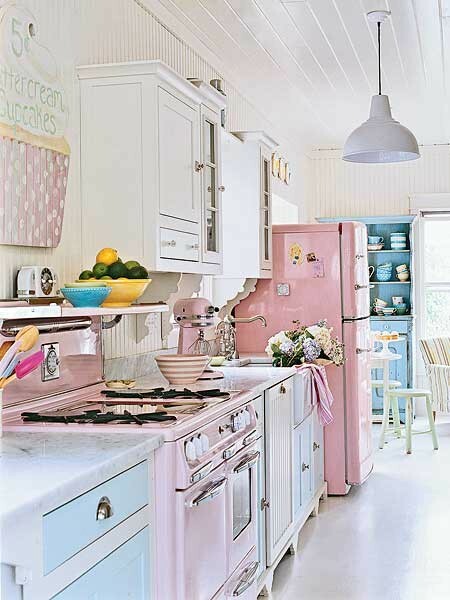 I like that this kitchen has pink appliances, mixed in with other colors in the room. It's so bright and vintage-y in there. 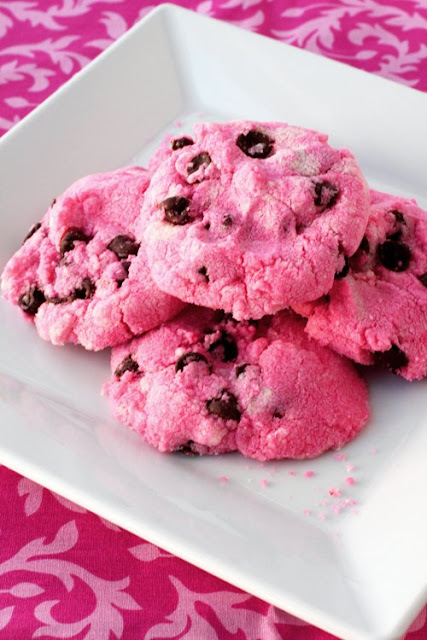 Pink chocolate chip cookies. yum. Any color chocolate chip cookies. YUM. 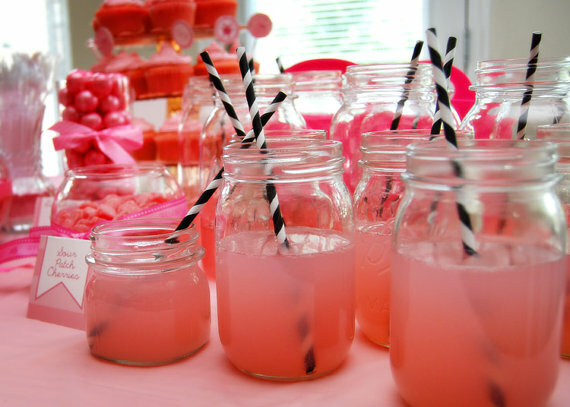 Pink lemonade with black and white straws (plus all the other pink stuff) is a cute way to party. 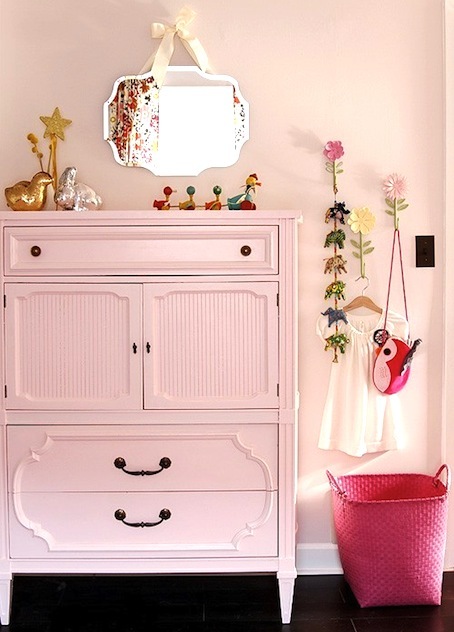 My favorite part of this pink decor is the hanging bird thingy on the far right. Except, what is it? A bag maybe? Check out more of our pinterest favorites by looking on our pinboards. Some stuff there is pink too!